Mizuma Action is proud to present Scenes from Childhood, a first exhibition by NODA Hitomi.Born in Osaka in 1983, Noda Hiromi completed her Master Degree course this year (March) in Kyoto City University of Arts, at the Fine Arts Research Department. In 2007 Noda presented her works “eyes and curiosity Vol.2”, in 2008, “Vol.4 (Taipei)” and in 2010 she was in charge of the illustration of Sakuraba Kazuki’s book Doutokutoiuna no shonen (The Boy Called Morals), which gave her great notoriety and opened a new state of mind in her personal expression. It is her first individual exhibition at Nakameguro’s Mizuma Action Space, and the water and oil paintings she started last year, which are the core of her work, are hung here for the first time. 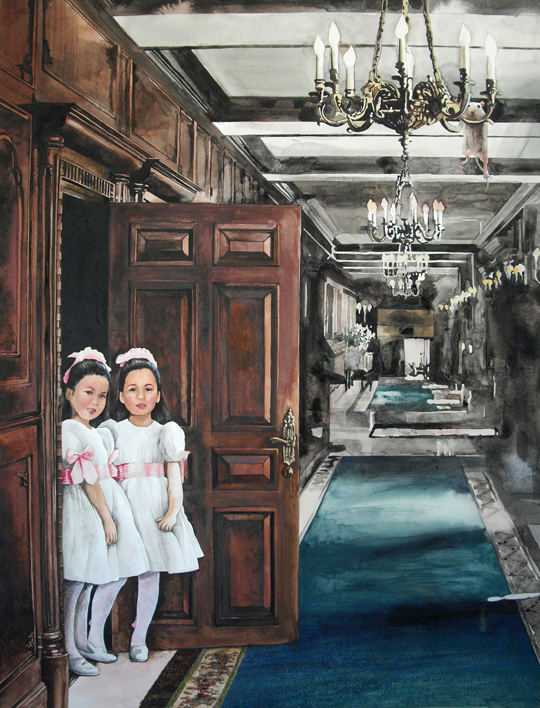 For the title of the exhibition, “Scenes from Childhood”, she used the name of one of Robert Schumann’s songs. She didn’t paint children practicing the song, but she intended those paintings for adults, and used this song to inspire herself. 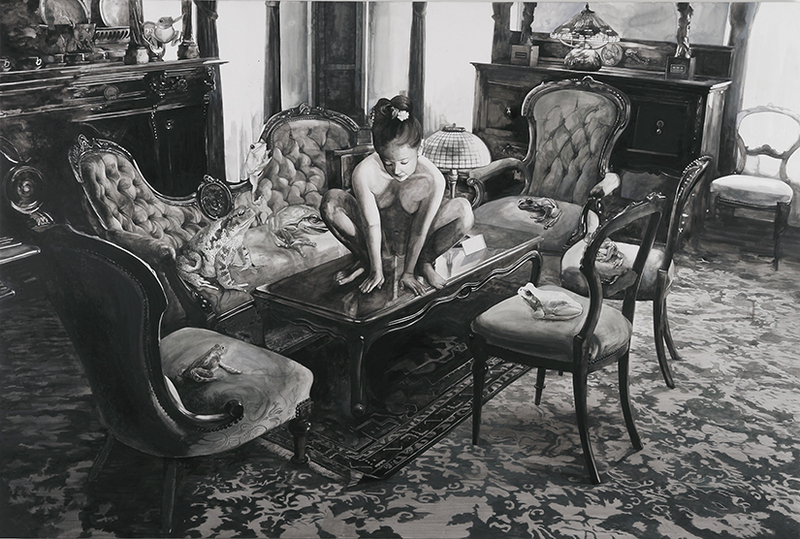 The original of “The Piano Recital”, made in 2007, was a pencil drawing she developed until it became the present painting. In Noda’s graphic world, there are scenes of children playing, daily scenes caught in their instant. But whenever you look at them, you get an impression of instability and eeriness. In the world those children live, behind this purity and naivete, their heart hides mischief. The reason, which they ignore, is that they are bold, and because it couldn’t be predicted, those acts provoke a great shock, and Noda draws it. In Noda’s tableaux, the cruelty and fear of their consciousnesses potential hides purity, the Eros and narcissism are revealed. Therefore, making confronting us the irritation and shocking emotions, the insecurity everyone brings inside is projected in those paintings. This could be the world Noda saw, but those tales still exist and can be related to everyone’s personal stories or scenes lived someday. A feeling you had somewhere. In her tableaux, various stories are involved with their respective scenes. Please, have a look now at her works.